Born in Glasgow, Frank McLintock started his career in junior football with Shawfield FC before moving to Leicester City in 1957. He spent seven years at Filbert Street and was an FA Cup finalist in 1961 and 1963 and a Football League Cup winner in 1964. In October 1964 McLintock was signed by Arsenal for a then club record of £80,000. 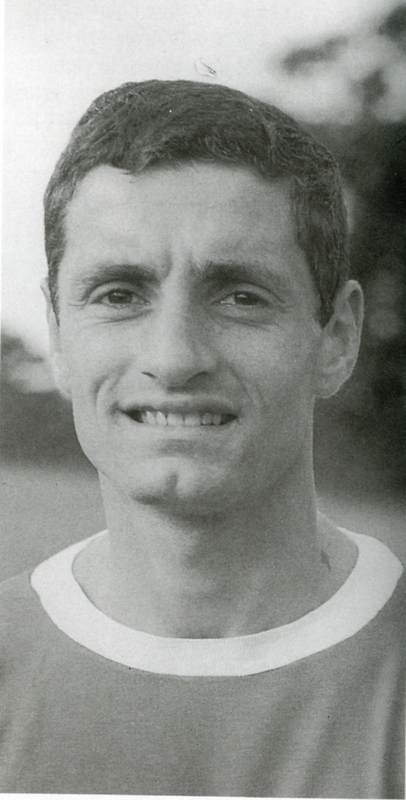 He spent nine years with the Gunners and became the club’s captain in 1967. McLintock led Arsenal to an Inter Cities Fairs Cup Final win in 1970 and will be remembered as the man who captained Arsenal to their first League and FA Cup double in season 1970/71. He also won the Football Writers Association Footballer of the Year Award in 1971 and was awarded the MBE for his services to football in 1972. McLintock was transferred to Queens Park Rangers in 1973 and was part of the side that qualified for the UEFA Cup after finishing a close second to Liverpool in season 1975/76. McLintock was capped nine times for Scotland and scored one of the goals in the famous 6-2 away victory against Spain in 1963.